Ariah Redix is a 9th Grader at Dollarway High School and is in her second year of the EAST Intitiative program. She has been working on a Bus Transportation project for two years. Along the way she faced many challenges that she used as a spring board to become better. Her current project was created using (ARGIS ONLINE) which allowed her to look at the bus schedule times/routes and how many miles were driven a day/week and develop a more efficient plan. 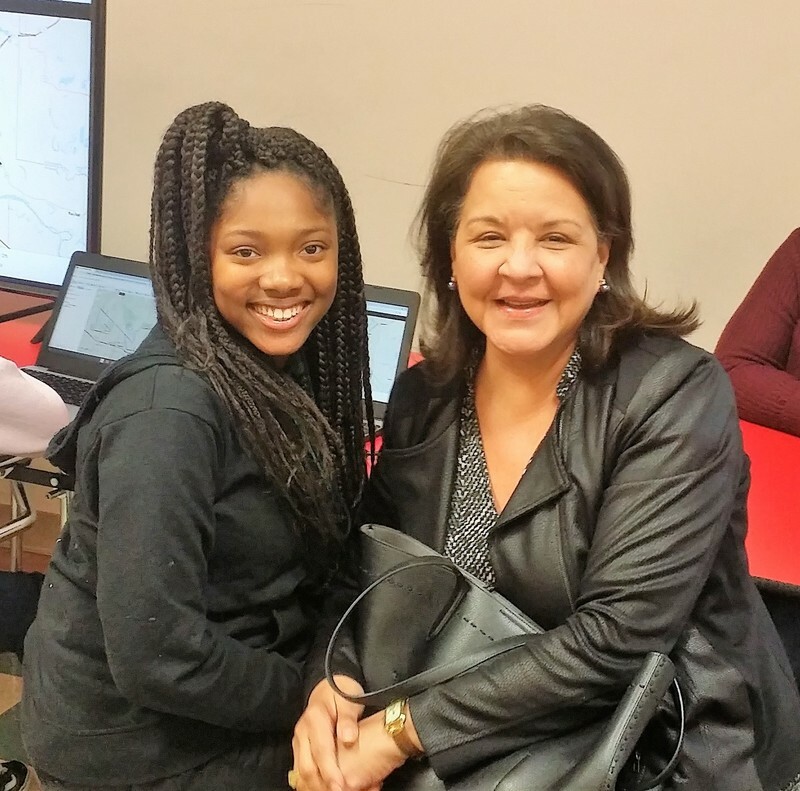 During her presentation at EAST NIGHT OUT the superintendent (Barbara Warren) took notice, and is considering using the data to improve district transportation needs. "Ariah is an example of what an EAST student is and should be," said Coach Jones, EAST Facilitor. Ariah and her teammate Gabriel (below on computer) will be entering their Bus Transportation Map along with two other Mapping Projects into the Regional & State Mapping Competition in April. 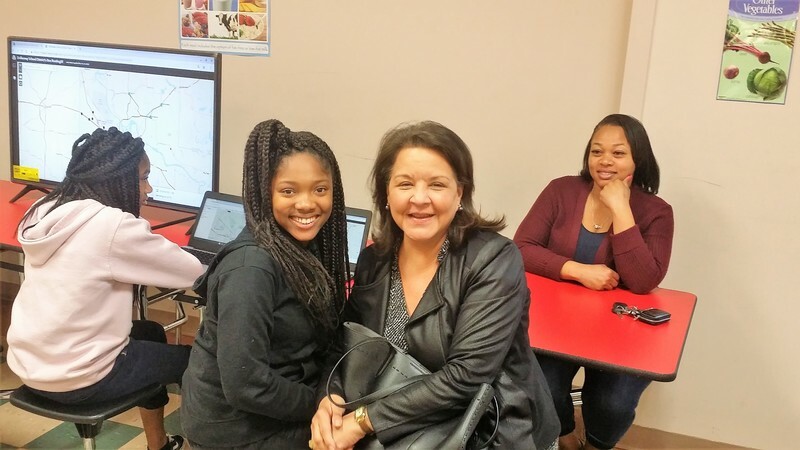 Ariah pictured below with Ms. Mildred Franco, Executive Director of Go Forward Pine Bluff during East Night Out at RMMS. Ariah's mother (background right) is also pictured.